The idea of planting trees as memorials may have originated in Great Britain in 1918 when the office of the King’s Highway issued a pamphlet titled; “Roads of Remembrance as War Memorials.” The two objectives of this program were to transform suitable existing highways “to the dignity of Roads of Remembrance adorned with trees” and to organize the building of highways “of exceptional dignity and beauty with open spaces at intervals as special memorials to the Great War.” Here in the United States, the idea first appeared in a 1918 Cleveland, Ohio newspaper article. After the Armistice, three events played a major part in popularizing the idea to plant memorial trees. Theodore Roosevelt died in January 1919, his son Quentin was killed in the war and the bicentennial of George Washington was very near. Roosevelt was considered a great conservationist and Washington loved walnut trees. Planted trees, especially walnut, would honor all three and the soldiers killed in the war. 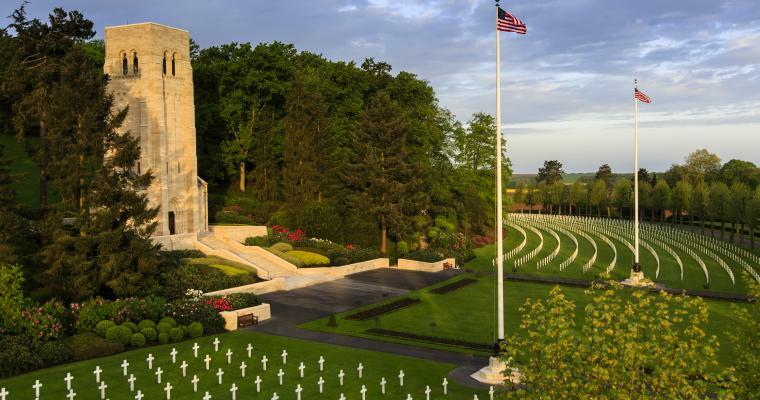 Eventually, the idea of tree – planting projects, which broadened to include whole forests as “living memorials” and tree-lined streets as “Roads of Remembrance” spread to other countries involved in the Great War. Canada, Australia, New Zealand and even the rugged coast of Ireland (in particular a section of the coast where submarine chasers had been very active) all recorded the planting of memorial trees and forests and Roads of Remembrance. From the Library of Congress, Walter Reed Memorial Hospital, Gold Star Mothers, DAR, Veteran Parks, to school children planting a tree in remembrance of animals killed in the Great War, trees as memorials were soon growing across America. This Veteran’s Day, plant a tree as a memorial to a veteran! Your new seedling will one day make a great outdoor living Christmas Tree.